Photo from the TFT FB page. 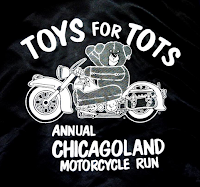 today to make Christmas a little brighter for boys and girls in need, at the annual Toys For Tots Motorcycle Parade, which starts at the Dan Ryan Woods and rolls north on Western Avenue to the North Side. 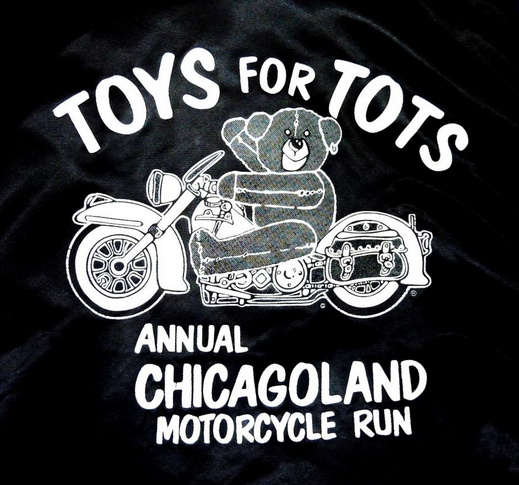 The annual run, which attracts bikers from across the Chicago area and even across the nation, was founded in 1978 right here on the Southwest Side by several local motorcyclists departing from Fantasy Choppers at 63rd and Maplewood. 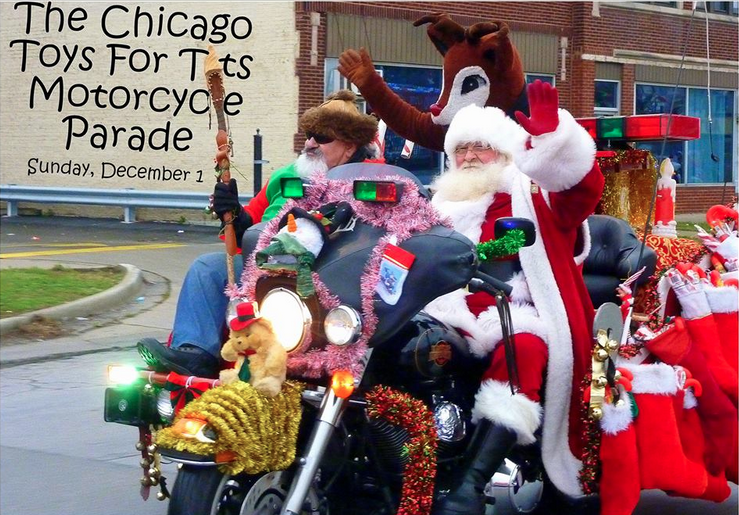 The bikers delivered new toys, sporting goods, electronics and other gifts to Marine Corps Reserve Toys For Tots Program representatives. The items are then gift wrapped and presented to children in various hospitals, schools, orphanages, shelters and more. Many Southwest Siders took part in today's run, including Sal and Julie Gammicchia of Clearing, who rolled out from their home at about 8 a.m.
Sal and Julie Gammicchia get ready to roll to the Toys For Tots event. We at the Southwest Chicago Post tip our caps to everyone who participated in today's run. You brought Christmas cheer to children and made our city a little brighter and better. Thank you!